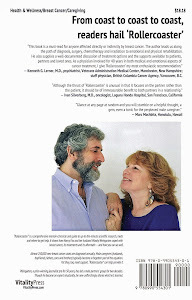 VitalityPress: Caregiving for cancer patients: parallel feelings? Caregiving for cancer patients: parallel feelings? 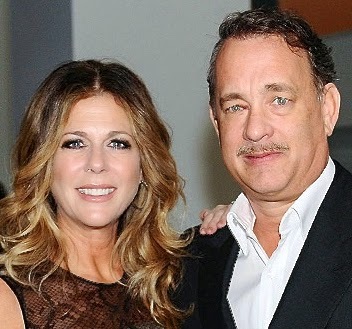 Hollywood superstar Tom Hanks has become an instant male caregiver. Because his 58-year-old actress wife, Rita Wilson, recently choose to undergo a double mastectomy. She'd been diagnosed with breast cancer after a first test, a biopsy, had mistakenly come back negative. The disease and operations — according to the Daily Dish site of the San Francisco Chronicle — caused her to temporarily absent herself from "Fish in the Dark," a Broadway play she'd been appearing in. She was quoted as telling People magazine she's "getting better every day" and expects "to make a full recovery." Hanks now must deal with feelings similar to those I experienced when my wife underwent "slash, poison and burn" treatments for breast cancer 20 years ago — feelings detailed in my new VitalityPress book, "Rollercoaster: How a man can survive his partner's breast cancer." 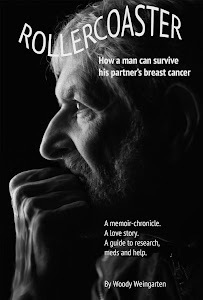 My book — aimed at husbands, boyfriends, fathers, sons and brothers of breast cancer patients — is a memoir-chronicle, a love story, and an up-to-the-minute guide to research, meds and where to get help. It illustrates that, despite surgery, chemotherapy and radiation, there can be light at the end of the tunnel. According to the American Cancer Society, 13 percent of American women (one in every eight) will get breast cancer at some point, with three-quarters of them having no risk factors except that they’re female. Wilson — who married Hanks in 1988 and subsequently appeared with him in "Sleepless in Seattle," "That Thing You Do!" and Larry Crowne" — took action after getting a second medical opinion, something she recommends to others as being "critical to your health." Trust your instincts, she advised, adding that "early diagnosis is key."